This is not about prime minister Modi’s visit to UK. This is about the risk millions of Indians face every day. It’s something in the air, a shapeless often orderless sometimes invisible thing called particulate matter (PM). It comes from the exhaust of vehicles, the fumes from coal fired power plants, the burning of waste, and dust from construction. It settles in the lungs and causes everything from allergies, asthma, and lung damage to premature death of the most vulnerable people. 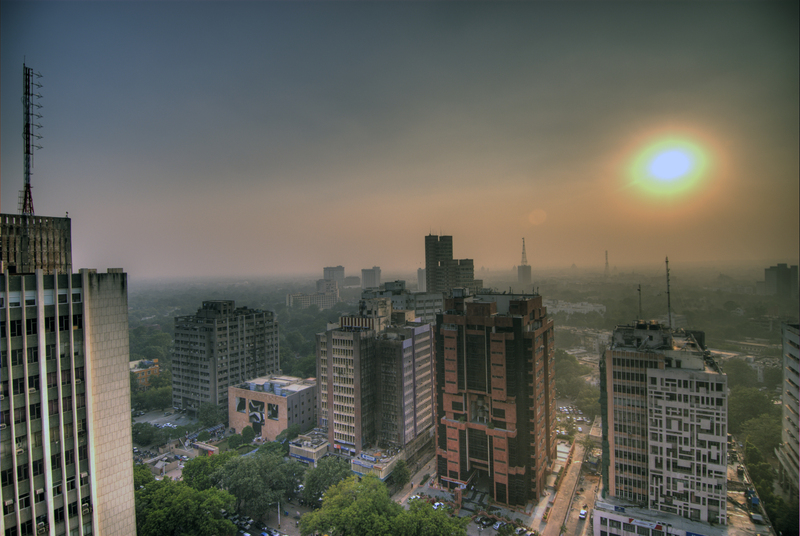 Some researchers have said air pollution caused close to 650,000 premature deaths in India in 2010. This number is predicted to increase as India develops — and perhaps we should ask what that word ‘develop’ actually means. India has 13 of the 20 most polluted cities in the world according to the recent World Health Organisation report. Around 35% of the country’s schoolchildren are affected by the smog. The obvious answer would surely be to tackle the problem of air pollution by reducing emissions at sources — but that’s not likely to happen soon. What is possible is system by which people in India can see in realtime how bad the air pollution is. So we have designed a new smartphone app – called the Clean Air Nation app – that does exactly that. It draws upon data provided on a web platform introduced by the government earlier this year: the National Air Quality Index (NAQI). It’s not a perfect system. It has its flaws, first and foremost that the numbers may be hard for the uninitiated to decipher. Neither does it provide much of a solution, but that’s partly because when the PM level hits 500 there’s not a lot you can do except for stay indoors. But it does what it’s supposed to: it tells people how polluted the air in their area is and advises them and the government what kind of precautions should be taken — including specific instructions for children, pregnant women and the elderly. Sometimes it’ll say there’s no need to do anything, on more polluted days it will advise to wear a mask, and on the worst days it’ll recommend to stay at home. In Delhi there are a lot of those days. Since it scrapes data from the NAQI website itself, there are geographical limitations. It only works in 16 cities in India (Patna, Muzaffarpur, Delhi, Ahmedabad, Faridabad, Bengaluru, Mumbai, Pune, Navi Mumbai, Chandrapur, Chennai, Hyderabad, Agra, Lucknow, Varanasi and Kanpur). This leaves large chunks of the country unaccounted for, and sometimes even the data from existing stations is way out of date. Greenpeace India faces some unique challenges, and we don’t have much of a budget. But despite all that we’ve built the Clean Air Nation app.